The York City School District’s financial picture has started to stabilize during the past several years, said Richard Snodgrass, the district’s business manager. That’s due to factors that include additional state money and the district’s attempts to control costs better, he said. Read more about the district’s response to the recovery-officer change. At the end of the fiscal year on June 30, the district should have a fund balance of about $6.7 million. That helps provide a cushion, he said, as the money the district gets does not all come in at once. 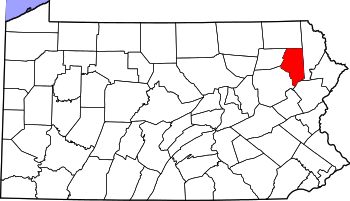 HARRISBURG, PA — Democratic Gov. Tom Wolf’s tax plan would hit all income classes and amount to a “huge tax grab,” said a leading Republican lawmaker. But John Hanger, Wolf’s policy director, on Friday disputed the Independent Fiscal Office report’s main conclusions. Wolf’s plan “would benefit most Pennsylvania homeowners making up to $100,000 and renters up to $50,000,” Hanger said. The report released this week makes a key observation when it says all groups would pay more — including a small net increase for the lowest income group, those making $25,000 or less annually, said House Appropriations Chairman Bill Adolph, R-Delaware County. That “directly contradicts” claims by Wolf and testimony of top staffers at appropriations meetings, Adolph said. HARRISBURG, PA — The Wolf administration this morning released estimates of the new revenue the state expects to bring in by expanding the 6 percent sales tax to include more items and services. Gov. Tom Wolf’s budget proposal, which is the subject of ongoing hearings by the House and Senate appropriations committees, also would raise the rates of the sales and personal income taxes, while cutting corporate income taxes and providing homeowners with relief from school property taxes. Applying a proposed 6.6 percent sales tax to a host of new purchases would bring the state approximately $1.16 billion in the fiscal year beginning July 1 and $2.97 billion in the following year, according to a memo released this morning by the Department of Revenue. 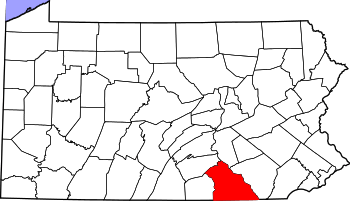 NORRISTOWN, PA – Moody’s Investor Service upgraded the county’s bond rating outlook from “negative” to “stable” on Monday, according to a press release. The county is expecting to refund $25.6 million in outstanding bonds in the coming weeks and had its rating “affirmed” to an Aa1 rating, according to the release sent out Monday afternoon. “With the upgrade, Moody’s is recognizing the remarkable turnaround in the fiscal situation in Montgomery County,” commissioners’ Chairman Josh Shapiro said in the press release. Scranton City Council on Thursday passed the first of three votes needed to adopt a revised Act 47 recovery plan. Council voted 4-0, with President Bob McGoff and Councilmen Joe Wechsler, Wayne Evans and Bill Gaughan all in favor, to introduce an ordinance to adopt the recovery plan crafted by the city’s Act 47 recovery coordinator, Pennsylvania Economy League. Councilman Pat Rogan was absent. Before the meeting, council held a caucus with PEL officials Gerald Cross and Joseph Boyle, city Business Administrator David Bulzoni, and Jim Rose of the state Department of Community and Economic Development, which oversees PEL. The Philadelphia School District plans to hire at least 400 teachers for the 2015-16 school year. In a district that has spent the last several years closing schools and laying off teachers, that is notable. Particular areas of need, officials said, are secondary math and science, special education, art, music, and upper elementary school. In an effort to compete with charter schools and other systems, the district has also changed its application process, shortening the hiring timeline and requiring applicants to submit more information up front. Turns out Scranton didn’t balance its 2015 budget. Through an error, the city budgeted $783,000 more in expenditures than revenues, city Controller Roseann Novembrino told the mayor and council. She said it needs to be amended to fix the mistake. City Business Administrator David Bulzoni said he made an error while creating the budget by inputting an incorrect figure from one line item instead of a total number for that one line and three others in the same group. The four items, which involve lease expenditures, total $833,082.87. Instead of inputting that total amount when adding up that section, Mr. Bulzoni said he used the figure that was above it, $50,000, which was only for the last lease in the group. That resulted in an understating of expenditures by $783,082.87. Wednesday was a typical day for York City Firefighter Clifton Frederick IV: He helped install smoke detectors in a house, responded to a medical call and continued to familiarize himself with where equipment is stored at the Vigilant Fire Station. But he remains hopeful that he will return to the City of York Department of Fire/Rescue Services. “Eventually, I’ll be back,” the 31-year-old said during the last few hours of his shift on New Year’s Eve. CARBONDALE, PA — City council on Monday unanimously adopted a budget for 2015 that raises the city’s wage tax a notch to cover an anticipated $120,000 deficit. Council voted 7-0, with Joseph Marzzacco, Kathleen Connor, Jerry Arnese, Francis Lagana, John Masco, John Gigliotti and Walter Martzen all in favor, on both a budget appropriation ordinance and a separate ordinance raising the earned-income tax from 1.6 percent to 1.7 percent. Increasing the city portion of the earned-income tax from 1.6 percent to 1.7 percent would equate to an extra $24 levied on a resident with the city’s median earnings of $23,893. With the school wage tax remaining at 0.5 percent, the total wage tax on a Carbondale resident now will increase from the current 2.1 percent to 2.2 percent next year, when the one-tenth-of-1-percent hike is implemented. WILKES-BARRE, PA — The mayor asked and the authority board complied. Mayor Tom Leighton Tuesday asked the members of the city’s Parking Authority for a little help for the city’s coffers. On a 4-1 vote, the authority approved giving the city $75,000 now and another $75,000 after the first of the year. “This eliminates me from raising property taxes in the city,” Leighton said after the vote. One authority member, Maryanne King, expressed concerned for the move, noting that auditors recently reported the need to increase revenues and replenish a depleted reserve fund to assure needed capital improvements of authority assets. 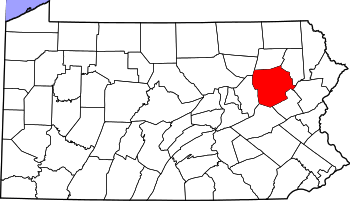 LAFLIN, PA — The meeting of Laflin Borough Council devolved into chaos Monday night as four council members voted to immediately disband the police department and hire a consultant to liquidate the department’s property. After hearing impassioned public comment against relying solely on state police to enforce the law in Laflin, a council majority voted to do just that, with Councilman Glen Gubitose the lone opposing vote. The majority defended the move by saying the borough infrastructure is crumbling and in desperate need of repair after years of neglect. But that didn’t satisfy dozens of residents who showed up to voice their opposition to the move. As council members finished the vote, the room erupted in jeers and boos loud enough to drown out council members for the rest of the meeting. Residents ordered to quiet down challenged council members to call the police. Luzerne County Council heard two unpleasant updates Tuesday: the deficit grew to an estimated $10.1 million at the end of 2013 and repayments have skyrocketed on an inherited 2006 debt refinancing package. The deficit increased because spending exceeded revenue by $6.4 million last year, said Andrea L. Caladie, a CPA with Baker Tilly Virchow Krause, LLP, during a draft audit summary presentation. The fund balance is now a negative $10.1 million because the county carried over a $3.7 million deficit from 2012, she said. The audit was due June 30 under the county’s home rule charter. County Budget/Finance Division Head Brian Swetz has blamed staffing shortages on delays compiling information the outside auditors needed to complete their work. York’s budget woes have set off a scramble to find ways to save positions in the departments that could face the deepest losses — police and fire — and triggered a whirlwind of questions about what would happen to the city if a balanced budget can come only at the cost of cutting public safety personnel. Mayor Kim Bracey‘s budget, which she introduced Tuesday, would cut 46 positions in the police department and eight fire-fighting jobs, and would cut the city’s work force from 412 employees in 2014 to 315 next year, documents show. Bracey said she was faced with few options and asked community partners, legislators and the county for outside help. As of Friday, “no one has knocked on the door,” she said. She has called for union concessions. Bracey said she will meet with fire union President Fred Desantis on Monday, and the city already is in negotiations with the Fraternal Order of Police. Police union president Mike Davis said he is “committed” to reaching an agreement before the end of the year. Westmoreland County commissioners said Thursday that there won’t be a property tax increase next year despite a projected deficit of $15 million. Commissioners revealed a preliminary $340 million budget for 2015 that anticipates declines in revenue and increases in proposed expenses, offset by dipping into the county’s surplus. If enacted, the budget proposal would deplete the surplus fund to $10.7 million. The surplus fund should end this year at $25 million. Hours after York Mayor Kim Bracey outlined her proposal to dramatically reduce the city’s work force, including deep cuts to public safety forces, in order to close an anticipated $7 million budget gap, public backlash began. Read more from Tuesday night’s City Council meeting. Members of the fire union also lined the council chambers to listen as Bracey presented her plan to council members. AFTER TOM WOLF got his doctorate from MIT, he worked at his family-owned cabinet company – driving a forklift. That experience could soon come in handy. Estimates just released by the state’s Independent Fiscal Office say the incoming governor’s first budget faces a shortfall of nearly $2 billion. Heavy lifting clearly is called for. WEST HAZLETON — The state has rescinded the borough’s status as a distressed municipality. But while the borough has significantly improved finances since 2003, it’s not out of the woods yet. State Department of Community and Economic Development Secretary C. Alan Walker determined that West Hazleton’s distressed status would be rescinded after a review of audits and financial data and the record from a public hearing on June 3, Gov. Tom Corbett’s office announced Thursday in a news release. The hearing officer’s report revealed that in 2013, the borough had a $5,423 budget surplus, that finances were stable, and that the borough has the tools to make the decisions necessary to maintain responsible budgets, meet its obligations to vendors and creditors, and provide essential services to residents. Scranton commuters will not have to pay a commuter tax. Senior Judge John Braxton of Philadelphia issued an order today striking down Scranton’s commuter tax. The judge dismissed two procedural objections made by petitioners opposing the commuter tax, but agreed that Act 205 doesn’t give the city power to exclusively levy a tax on commuters. The wage tax had to be levied on both nonresidents and residents. A majority of York City Council members said they are willing to consider authorizing a new tax in 2015 that would reach into the pockets of many more people. The distressed pension earned income tax — more commonly known as the commuter tax — has been on the city’s menu of revenue-generating options for the past several years. But, so far, city officials have been able to balance York’s budgets without wading into the controversial waters of taxing commuters’ earnings. That might change next year.